Starting in 1910, Jim Tammaro’s great-grandmother grew lovely flowers, a dianthus called ‘maiden pinks’, in the garden of her Rochester home. In 1960, his aunt took some of the plants to her home. In the 1980s, when his aunt died at the age of 93, the plants were turned over to Tammaro. Now Tammaro carries on the legacy, growing the maiden pinks outside the front door of his Williamsville home. Growing these plants that have a family history got him interested in heirloom flowers and vegetables. 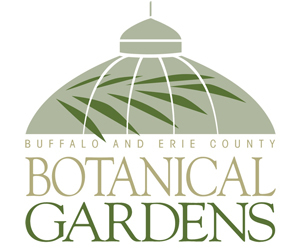 Tammaro, a volunteer at the Genesee Country Village & Museum, will give a talk on heirloom plants at 1 p.m. Saturday, Oct. 5 and will repeat the talk at 1 p.m. Sunday, Oct. 6. The presentation is part of the Fall Festival and Agricultural Fair to be held 10 a.m. to 4 p.m. Saturday and Sunday, Oct. 5 and 6 at the Genesee Country Village and Museum, 1410 Flint Hill Road, Mumford. “The people who fought in the Civil War and the people who were pioneers aren’t around anymore, but the plants they grew are still around,” said Tammaro. “That’s the attraction for me.” Tammaro is retired from the New York State Archives and teaches Library and Information Studies at the University at Buffalo. In order to be called an heirloom, a plant must have its own history, Tammaro said, and some of the stories are fascinating. The Living on Earth radio show recently told the story of Radiator Charlie’s Mortgage Lifter Tomato, bred by a man named Charlie Byles who was able to pay off his mortgage by selling the seedlings. According to folklore, one plant that Tammaro grows, the Lutz Long Keeper beet, can be traced back to the Pilgrims. The Pilgrims didn’t need a beet that was the tastiest, he said; they wanted a vegetable that was large and would store well so that they had something to last through to February. The beets get five or six inches in diameter and, as the name implies, store well. A second criterion for being called an heirloom is that the plant must have been grown for at least 50 years, though Tammaro prefers plants that have been grown for at least 100 years. The final criterion is that the plant must be an open pollinated variety, not a hybrid. The seeds must produce the true plant year after year. If you save the seeds from a hybrid, he explained, you might get a plant that resembles one of the parent plants rather than the plant from which you took the seeds. Hybrids might also be sterile. Tammaro started entering the contests at the Genesee Country Village and Museum in the late 1980s and has won ribbons for vegetables and herbs. Some of the plants he has grown include the Amish Salad Tomato, which is like a cherry tomato, and the Frederick Douglass Tomato, a southern tomato named after the African-American social reformer. 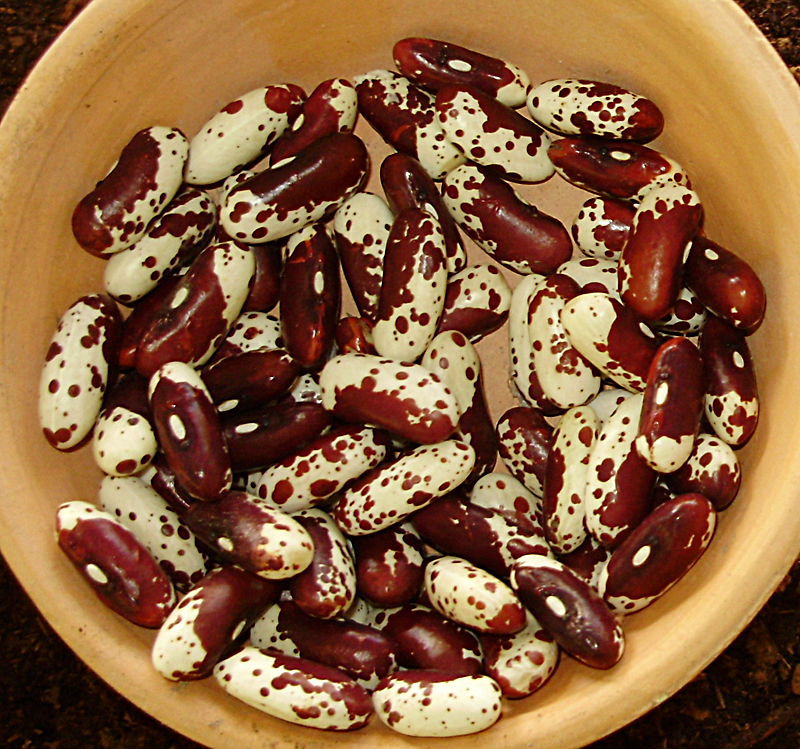 Heirloom plants are often named in tribute to a person, Tammaro noted. Kellogg’s Breakfast Tomato, a yellow variety that is like a beefsteak tomato, wasn’t named for the cereal company but for a 19th century botanist that started a number of varieties of tomatoes, Tammaro said. Another yellow variety is the Nebraska Wedding Tomato, a yellow tomato that he said is a little less acidic and sweeter than other tomatoes. He has grown several varieties of white tomato. When I visited Tammaro in the middle of September, he still had lots of tomatoes on the vine. He believes that’s because he doesn’t use tomato cages, which are too small for these four-foot-tall plants. Instead, he built a trellis that he believes not only provides the proper support, but allows for better air flow. Besides, in the 19th century folks didn’t use tomato cages. 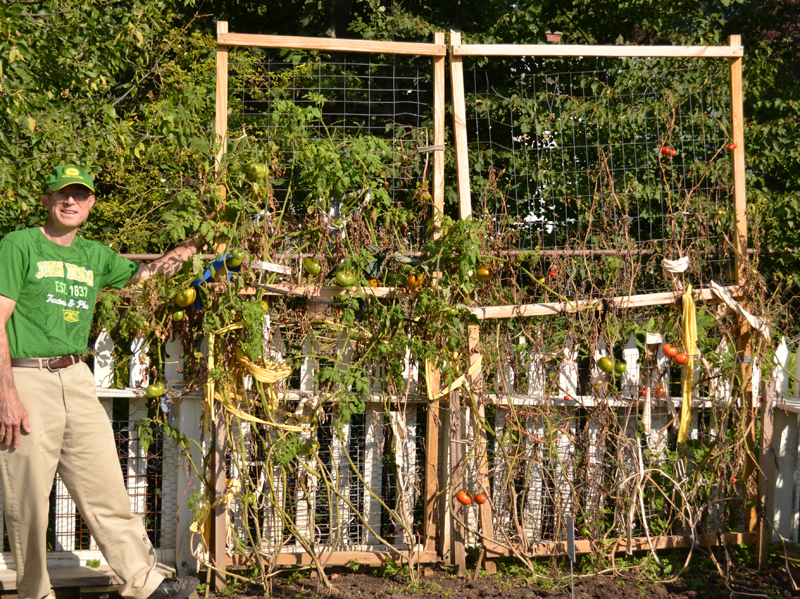 He ties the branches of the tomatoes to the trellis with rags. He also tied the trellis to the fence for extra support. In the photo above, on the left are Kellogg’s Breakfast tomatoes and on the right are Rutgers tomatoes, which were developed in Rutgers, NJ. He is also growing white beets for the first time this year, but he’s not sure if he will like beets without the deep red color. 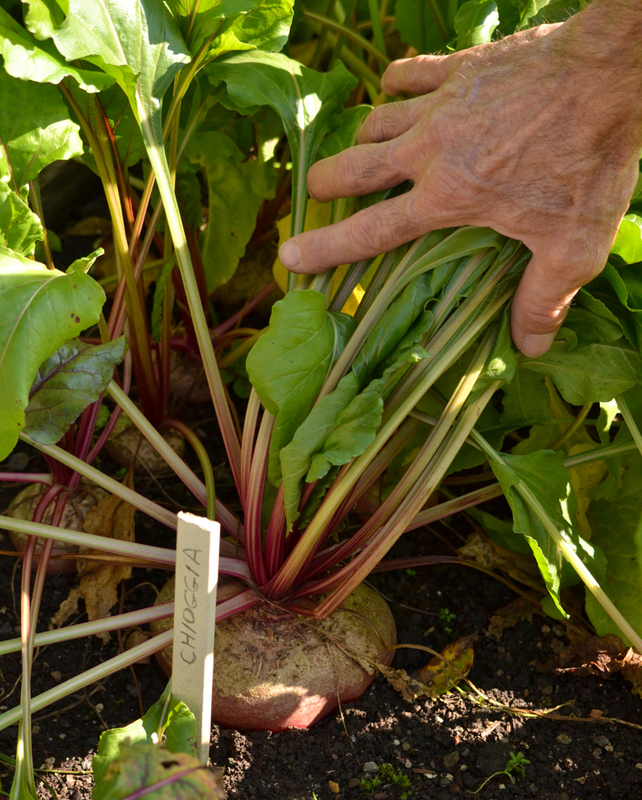 The variety of beet that is doing best in Tammaro’s garden is Chioggia (pronounced kee-OH-gee-ah), pictured at the beginning of the article. They are white with red stripes and were brought to this country by Italian immigrants. In the photo below are two types of heirloom lettuce. In back is a variety named simply NY No. 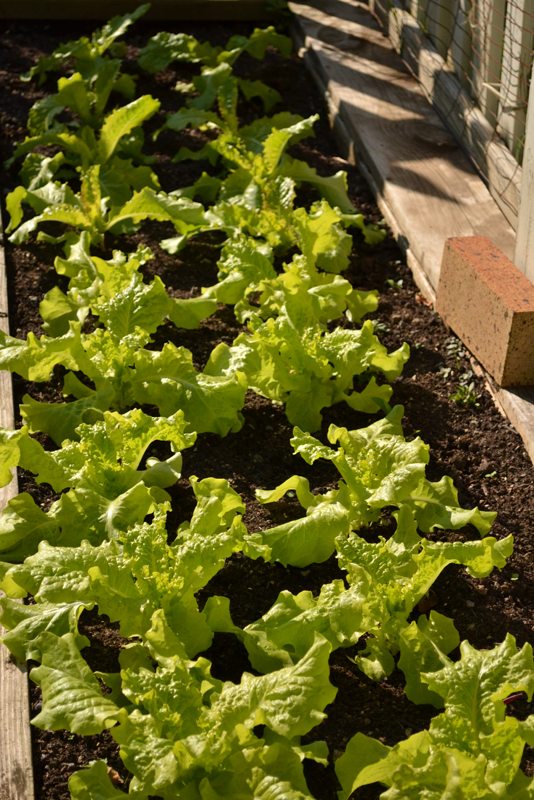 12 and in front is Black-seeded Simpson lettuce, which dates back to 1850 and is one of his favorites. “It’s easy to grow and tastes good,” he said. Tammaro plants it in spring and fall. For fall, he started the seeds in a small greenhouse around Aug. 1 and transplanted them outside around Sept. 1. Good fall crops that can survive a light frost are lettuce, spinach, cabbage and beets, he noted. In addition to the talks on heirloom vegetables, the Fall Festival at the Genesee Country Village and Museum will include displays and judging of heirloom vegetables. There will also be competitions in 150 categories including livestock, baked goods, needlecrafts, broom making and largest pumpkin. You can take in a 19th-century magic show, attend a Punch & Judy puppet show and enjoy other entertainment. I like the taste and texture of heirlooms. And I don’t care if they are picture perfect either. I always grew Rutgers tomatoes but the nursery I bought the plants at is no longer in business. Does anyone know where the plants or seeds are sold. A good source for tomatoes that you can’t find at nurseries is Totallytomato.com. They do carry Rutger seeds. You can obtain “Rutgers” tomato seeds from: (1) The Baker Creek Seed Company, (2) R. H. Shumway’s Seed Co. or (3) Comstock’s Seed Guide. I hope that helps!